A wealth of shopping, dining, historic homes, museums, parks and the waterfront can be found in Downtown Charleston. All close to our featured hotels. There are two main streets, Meeting Street and King Street, which run parallel with each other. The majority of Charleston attractions are centred around these two streets. Along a stretch of Meeting Street known as the ‘Museum Mile’ you will find several museums and historic homes open to the public. Also, you will find churches and other historic sites which welcome visitors. Most of the shopping in Downtown Charleston is situated on King Street. There you will find everything from department stores to antique shops. However, one of the most popular shopping destinations is the Charleston City Market off Meeting Street. This features crafts, gifts and more from local traders. The City Market is open 365 days a year. Look out for the street traders making the local traditional sweetgrass baskets. On the edge of the Downtown area, you will find the Charleston Farmers Market. This is held each Saturday from 8am to 2pm. The farmers market runs from April through December in Marion Square. Two of our featured accommodations, Embassy Suites Historic and Francis Marion Hotel are conveniently located overlooking Marion Square. Whilst you can walk the City streets you may also want to consider one of the many horse and carriage tours available. Apart from taking a load off, the guides knowledge of the City can be very informative. Palmetto Carriage are the oldest tour providers in Charleston and run both public and private carriage tours of the city. You can check out their web site for more information. Alternatively try Old South Carriage Co. The lower end of the City is almost completely residential. You can enjoy a leisurely stroll through quiet neighbourhoods, taking in the magnificent colonial style houses. 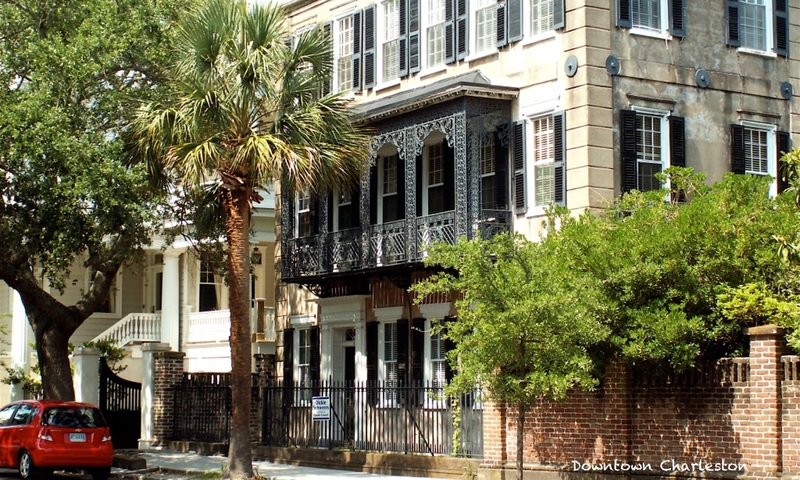 There are a number of historic homes in Downtown Charleston which run daily tours. Alternatively, you can simply walk the streets and take in the elegant architecture before stopping in at one of the many restaurants and bars for a spot of lunch. Walk along East Bay Street and you will come upon Battery Park, with the Battery mansions on one side and the Charleston harbor on the other. Gaze across Charleston Harbour and you will be able to spot Fort Sumter. The first shots of the Civil War took place here in 1861 when the City opened fire from the battery on the Union Garrison at Fort Sumter. Over many centuries, the Battery has seen many wars, such as the Revolutionary War and the War of 1812, and was even the hanging grounds for famed pirate Stede Bonnet, amongst others. Eating out is a very personal thing. 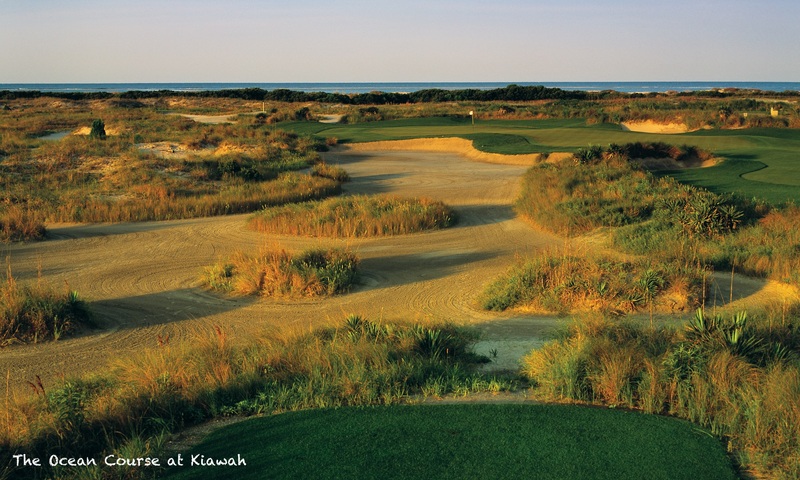 Everyone’s tastes are different but you can be sure that you will find plenty to like in Charleston. There are too many restaurants, cafés and bars to mention here so we suggest checking out the dining guide on the visitors bureau site for an overview of what is available. Be sure to check out our favourite lunch venue, ’82 Queen’, located on Queen Street between King and Meeting Streets, close to another of our featured accommodations, The Mills House Hotel. One of the most popular Charleston attractions is The South Carolina Aquarium. This is located on the edge of the Downtown area. You can find out more about the aquarium by visiting their web site. There are a bewildering number of Charleston attractions located in the Downtown area and this is in no way intended to be a complete guide so do make sure you check out the official guides to find out more about this fantastic City. Situated on Meeting Street, on the edge of Downtown, is the Charleston Visitors Centre. If you arrive in the City unprepared it is worth stopping in here first to find out more about the City before you start your visit. Alternatively, visit their web site for information.